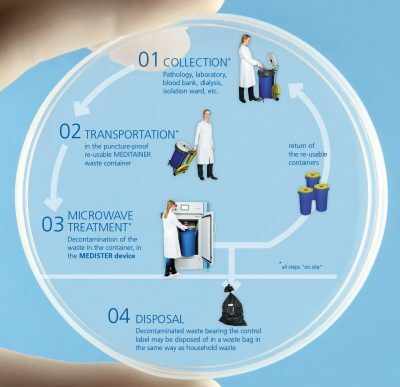 In a doctor's office or a medical centre there is waste from patients with infectious diseases. 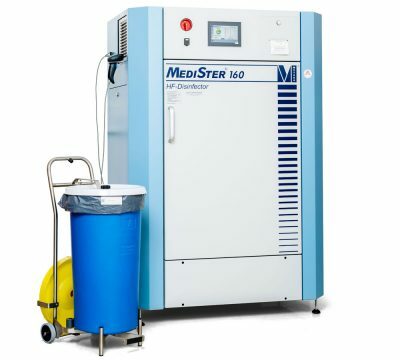 With the MEDISTER equipment, infectious waste is easily and safely decontaminated on site using microwave radiation. 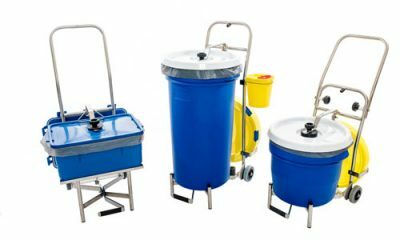 The collection and decontamination of infectious waste in collection and transport containers directly at the point of origin can prevent the spread of infections. It protects both staff and patients from injury and infection. Using the MEDITRANS transport trolleys, waste and residual materials can be collected in a contactless and clean manner and transported safely. 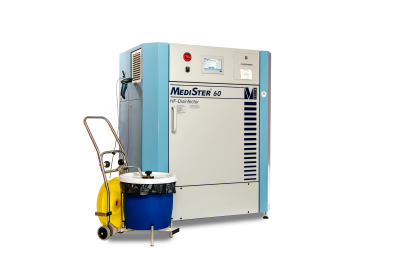 The MEDITAINER waste container is simply opened by operating the foot lever on the MEDITRANS transport trolley; The staff has both hands free for the waste manipulation. Contamination possibilities on the lid are excluded, as this is opened exclusively via the foot lever operation. 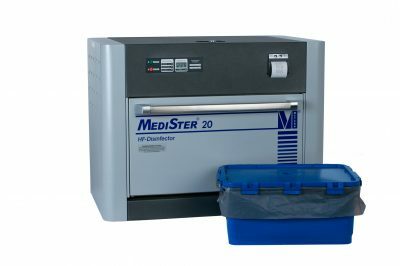 Every day, infectious and potentially infectious waste accumulates in a hospital. Potentially because, for example, the blood test was only carried out for a specific purpose, or the result is not yet available. 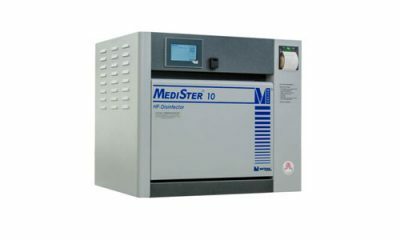 such as as petri dishes, blood culture tubes and vials, etc.